MagicTouch tool has a vent all the way through the handle that allows the user to turn its holding capacity "on and off" by squeezing the handle. The MagicTouch can be used for both insertion and removal of gas permeable contact lenses. 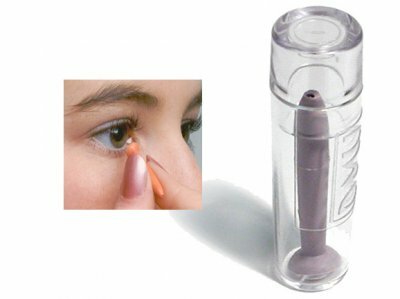 Because its suction can be turned "on and off," the product is "stick-proof" - cannot get stuck to the eye.